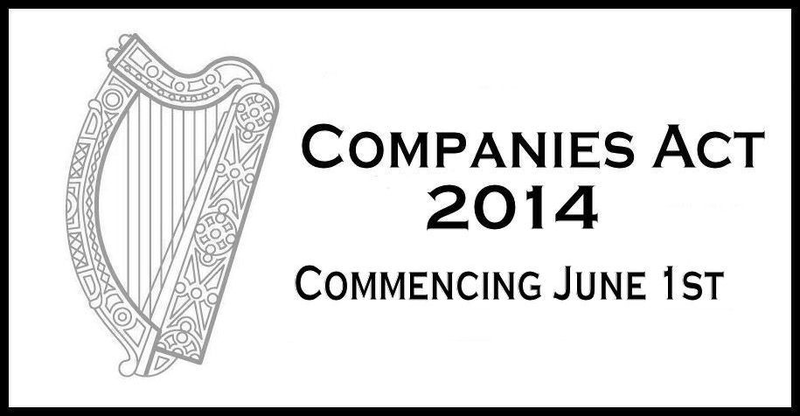 At 1st June 2014 all existing Private Company Limited by Shares have now become a DAC Designated Activity Company. You leave your company as a Designated Activity Company and after the transition period of 18th Months from 1st June 2014 (ie 30th November 2016) you company will automatically convert to a LTD company Limited by Shares. Your company continues to be governed by it’s existing Memorandum and Articles of Association until the end of the transition period. At the end of the transition period there may still be forms that are needed to be filed. You can choose now to convert your company from a DAC to a LTD. You company will no longer have Memorandum and Articles of Association, but will be governed by a constitution, and have unlimited powers. Our office can assist you in this matter, as it involves filing necessary forms and resolutions with the companies registration office. If you require your company to be a DAC, then you will have to convert your company before the 31st August 2016. At the moment your company is temporally a DAC until the end of the transition period, at which point it will automatically convert back to a LTD company. Therefore if your company if required to be or you decide that you want your company to be a DAC you must convert before the 31st June 2015, after this date you can only convert your company to a DAC by High Court Order. The company will no longer need memorandum and articles of association and therefore will have unlimited powers and therefore cannot act ultra vires. The LTD company eliminates the need for a second director. Although the company must still have a separate secretary the duties of the company secretary are less onerous than the duties of a director. Must now change their name to include the words Unlimited Company at the end of their name. Must now change their name to include the words Company Limited By Guarantee at the end of their name.